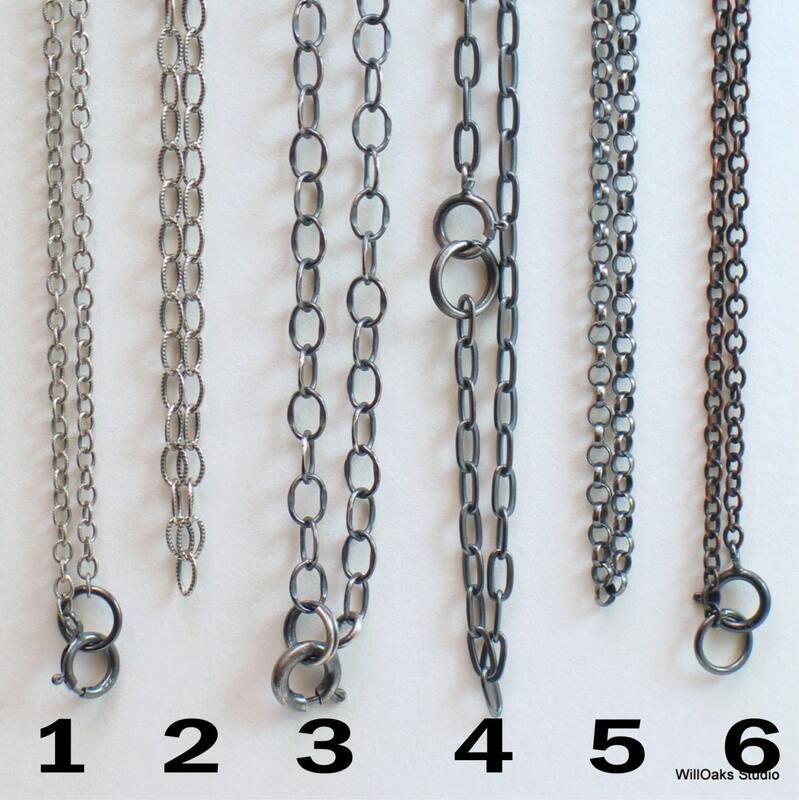 Select a custom chain for your WillOaks Studio pendant! All are oxidized with liver of sulfate (LOS), then buffed, for an antique finish. 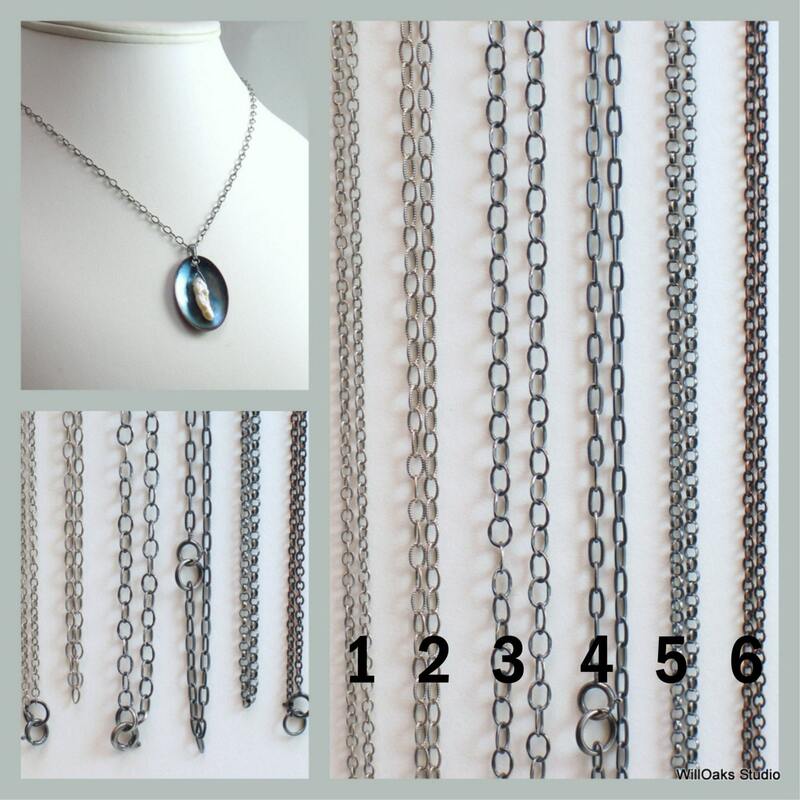 All have oxidized sterling silver spring clasps and jump rings to close. 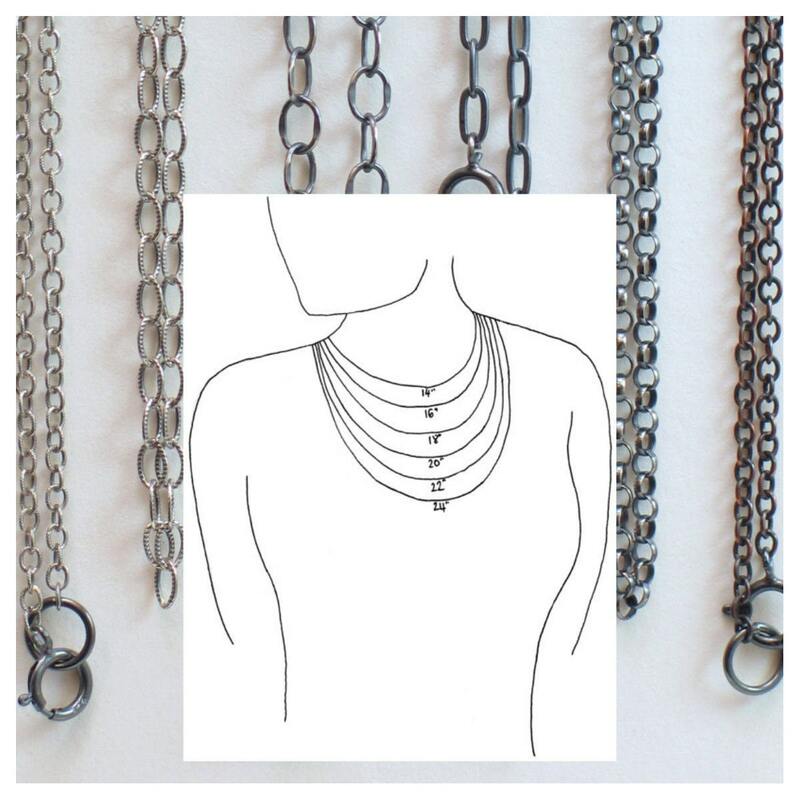 *Sterling Silver-Filled - Items are made by adding a durable, heavy outer layer of sterling silver (.925/20) to surround a copper-alloy core. The sterling layer is 20% of the weight of the metal and is very thick when compared to plating. Sterling silver-filled items handle like sterling silver. 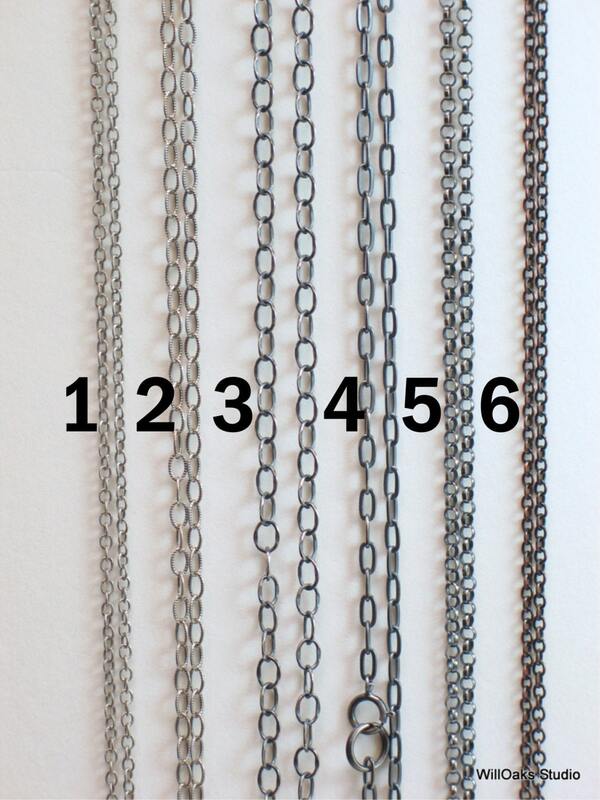 If you need a longer chain, please contact me for a custom listing. If you prefer a different clasp that the spring rings described above, please contact me for a custom listing as I have a variety of different clasps. I'm really happy with the way the #4's look! My boyfriend likes the chains to be longer but I'm really happy with the length! I might end up buying another one that is longer for him because we both love the way they look! I'm very happy with this product! Really nicely made chains, beautifully wrapped too. Thank you so much! Nicely done. Would order from this artist again. Quick shipping. Arrived Very Quickly! packaged well so absolutely no damage. Excellent quality--the antiquing is done well and the clasp is attached securely. Thank you for a very fine product! Love this piece. Thank you!